We’re moving to profile-per-install, starting in Firefox 67! The DevTools console now lets you invoke getters from the console (check out this demo). 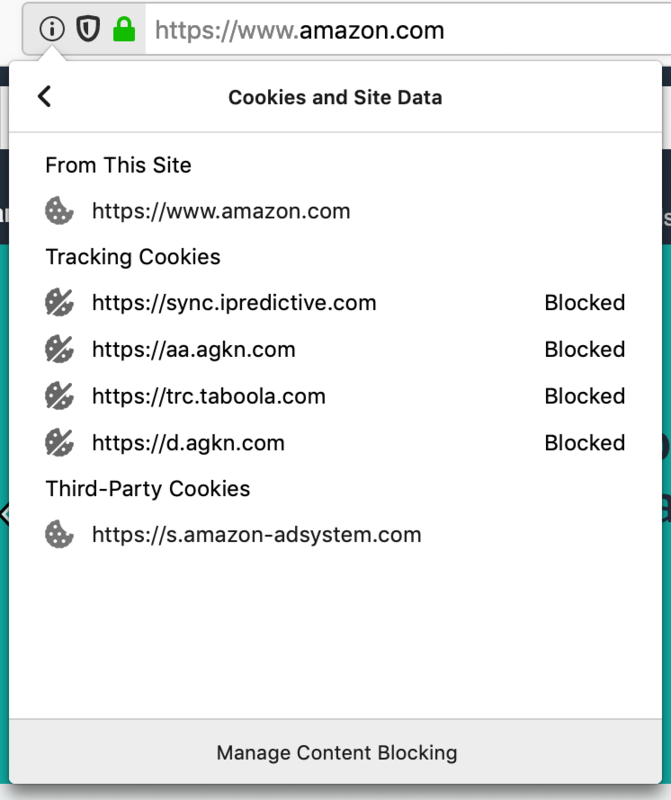 Slated to ship in Firefox 65! The Milestone 1 version of the long-requested CSS track changes feature is slated to ship in Firefox 65! A new about:debugging is being worked on. Nightly users can check out about:debugging-new right now for a preview. As of this writing, we’re down to 27% of the original set of XBL bindings! We aim to eliminate XBL in Firefox entirely this year. Baku and Johann eliminated some Evil Traps with malicious use of window.open() in a loop! After 3 years of valuable service, Test Pilot is riding off into the sunset! More info here. 🌟 matthewacha removed “use strict”; from one of our ES6 modules – those are running in strict mode by default. 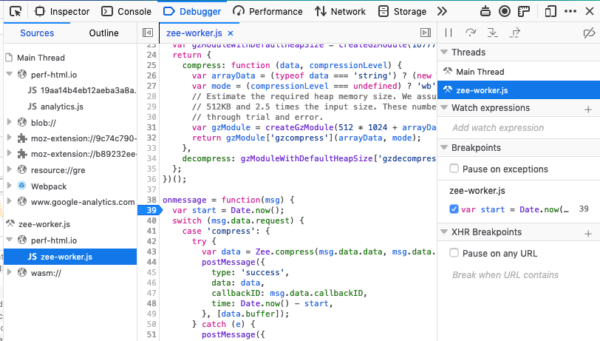 🌟 mattheww improved the performance when loading breakpoints in the debugger for a page with many scripts! Huge shoutout to debugger community for all of their work during the winter break! Work continues on enabling ESLint for more DOM directories and other core directories. In Q1 we are focusing our efforts on startup performance. This time we’ll care both about first paint performance (which already received optimization efforts previously and is close to parity with Chrome) and the time to render the home page. Doug landed his document splitting work that should enable faster rendering and is investigating creating a warmup service to preload Firefox files when the OS starts. Felipe’s tab animation patch is going through review. 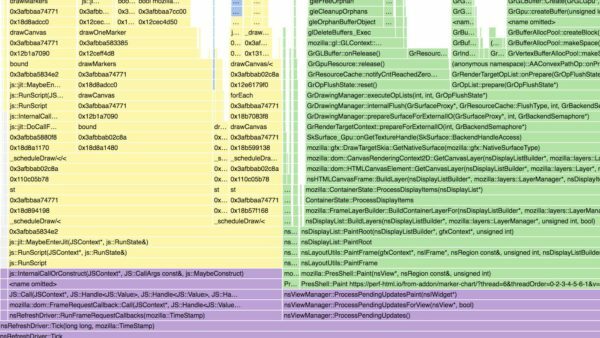 The code of the old about:performance is gone (both front-end and back-end pieces) and some test coverage was added. Gijs continued his browser adjustment work (adding telemetry and about:support visibility), improved Pocket’s startup behavior, and removed some more Feed code. mconley is unblocking enabling the background process priority manager, by removing the HAL stuff that was leftover from FxOS. This was a top request from users of the Profiler! This should help us notice memory allocation patterns in profiles. This should help people narrow down slow code to the responsible components. 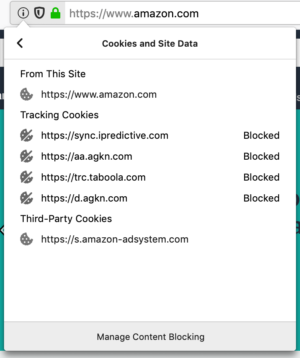 We’re eliminating some interesting performance regressions from enabling cookie restrictions by default. Is this only internal refactoring or will the OpenSearch support be removed? I have 20-something search modules and converting them to web-exts and uploading them to AMO would not very convenient. When pop up video in firefox ? Is there any plan to move tabs from a bloated process to a new process, before killing the bloated process, to prevent Firefox from eating all the memory and getting slow when trying to free some memory? While it uses more memory in the beginning, Chrome’s one process per tab avoids that kind of problem and keeps it fast. Firefox’s multiple tabs per process is nice to save memory but it requires a way to move tabs to a new fresh process from time to time.